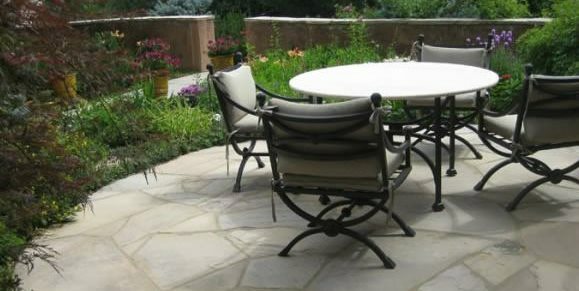 When it comes to flagstone paving, many homeowners assume that you simply lay it on the ground and you’re done. 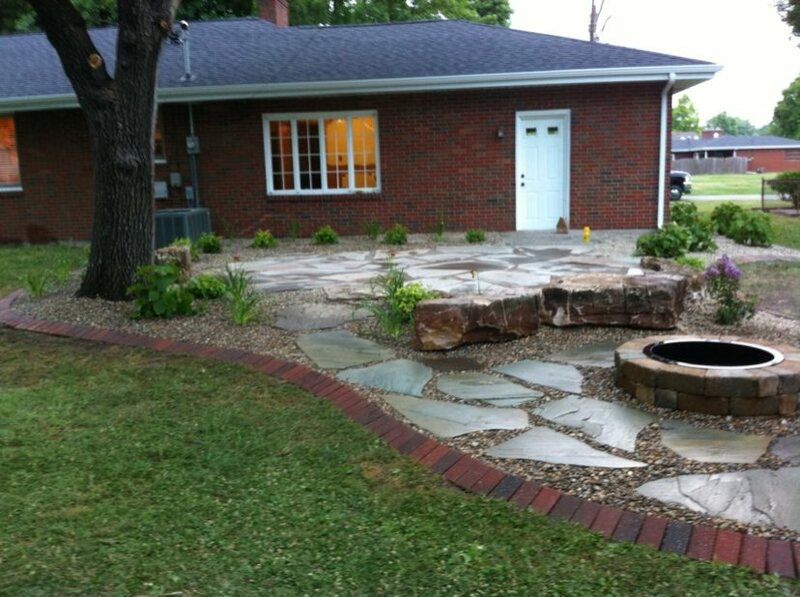 However, there are many design decisions that must be made prior to the actual laying of the stones. 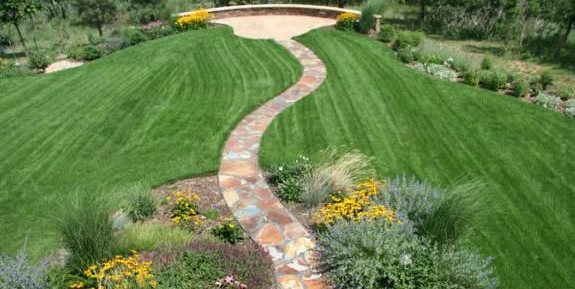 You must decide between irregular and cut stones. 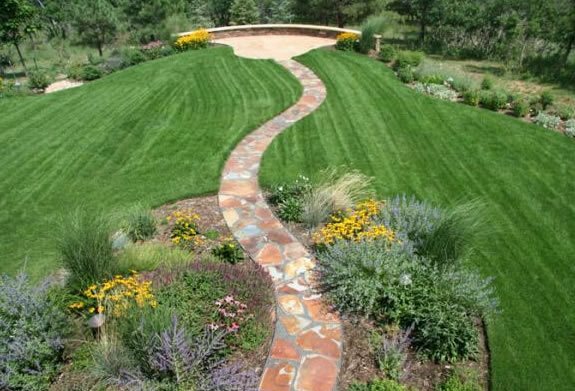 You must pick a color. 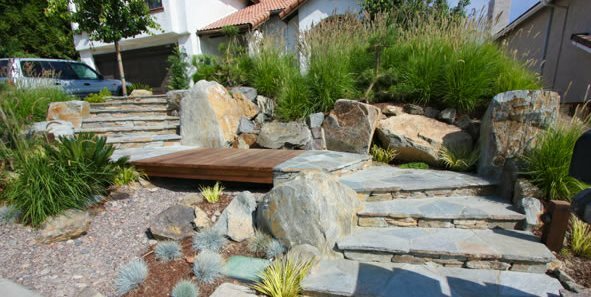 You must determine whether the stones will be laid on a slab with mortared joints or on a compacted base with gravel joints. 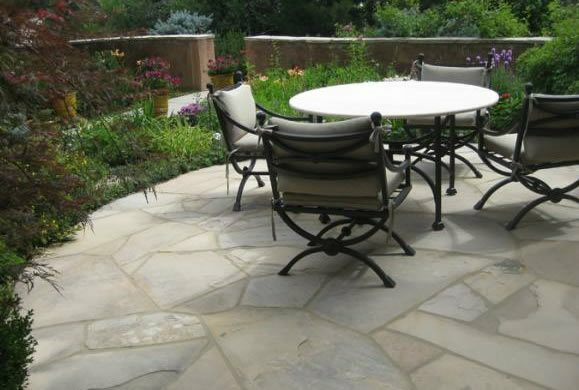 And you must determine which flagstone pattern you like best. 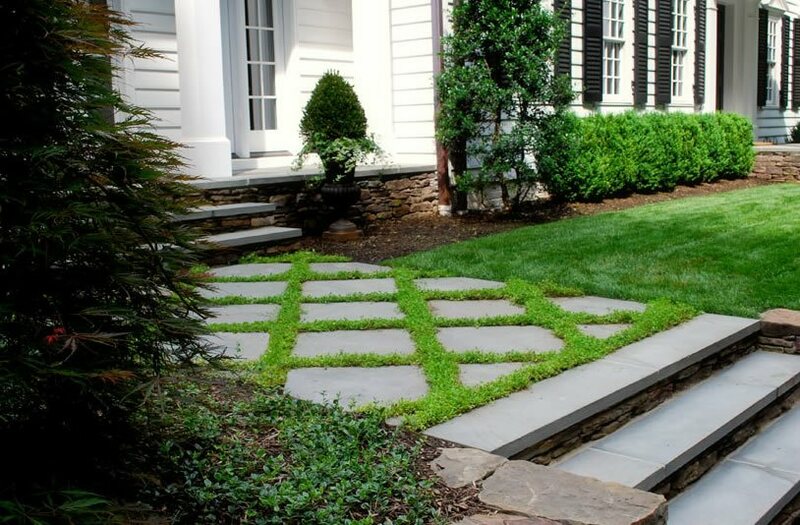 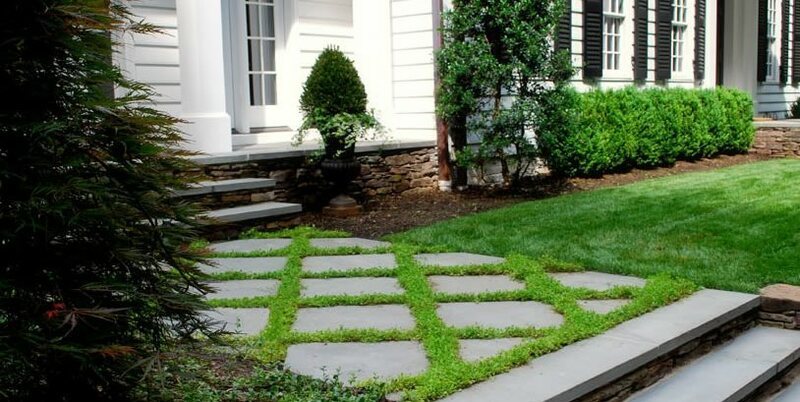 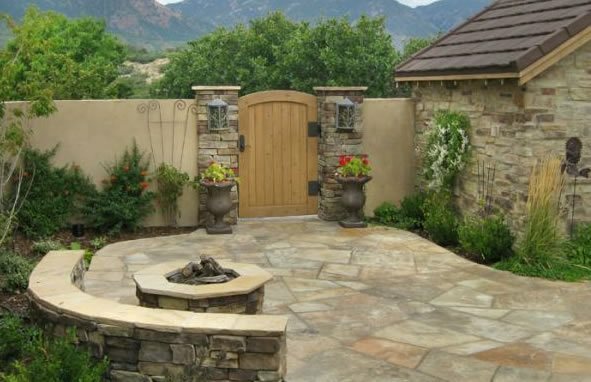 Rushing through the design process could mean that you end up with a flagstone patio, path or drive that you are unhappy with or fails under normal wear and tear. 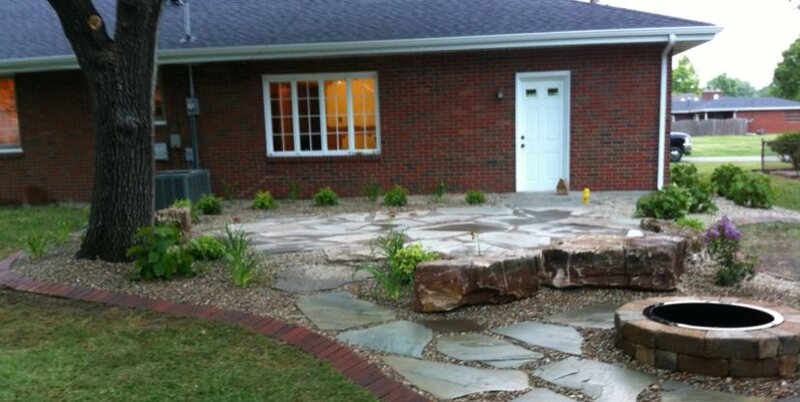 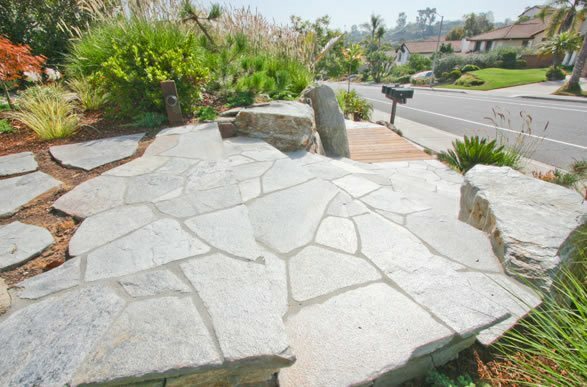 Hiring a professional landscape contractor is a great way to ensure your flagstone paving is well designed. 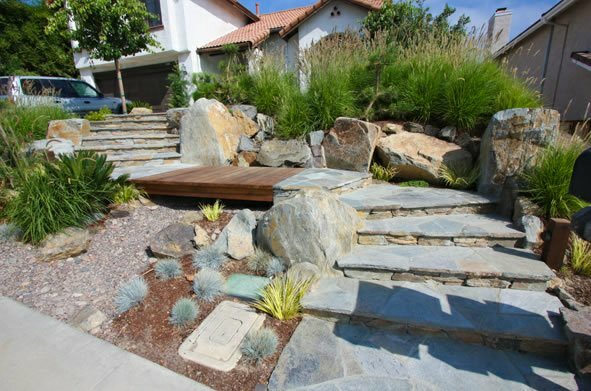 A contractor will help you make the right decisions based off of your taste and property. 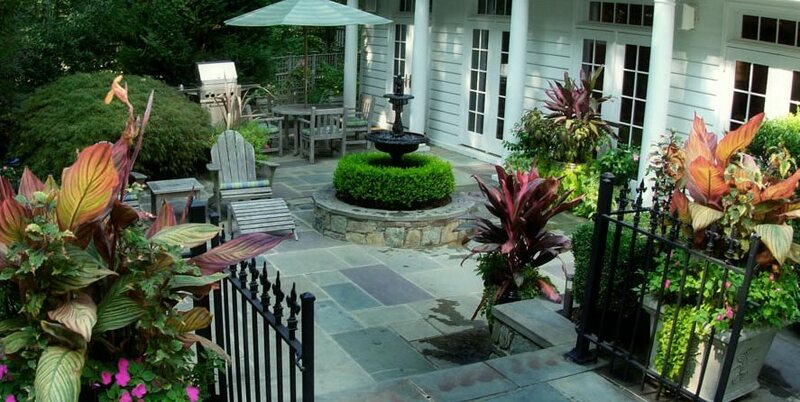 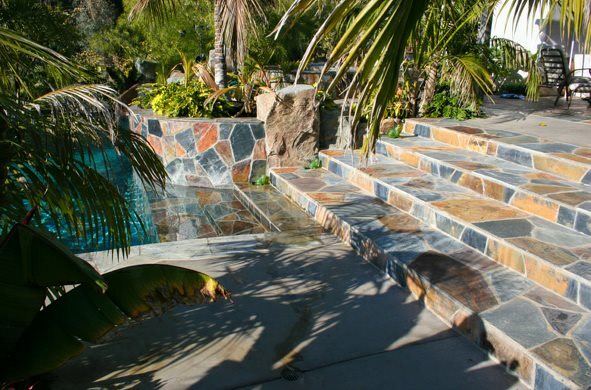 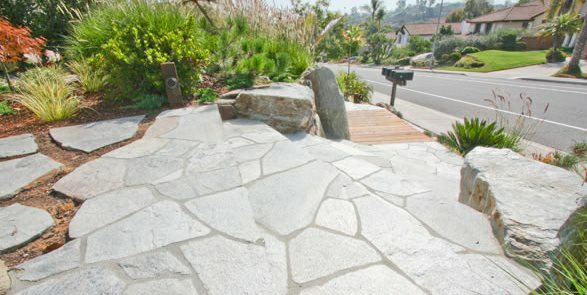 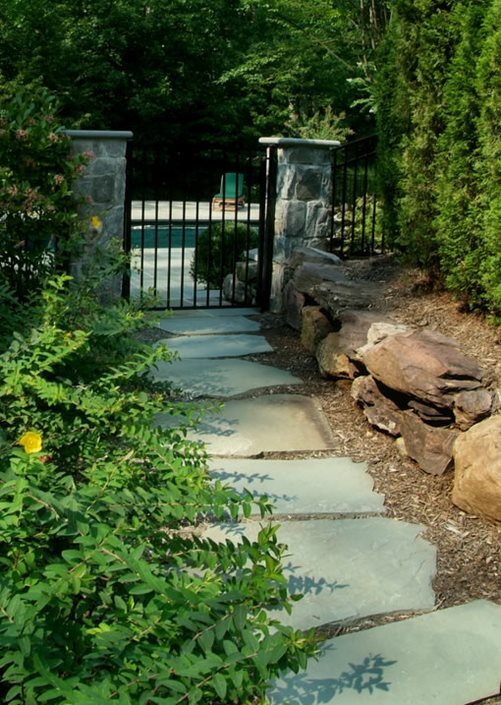 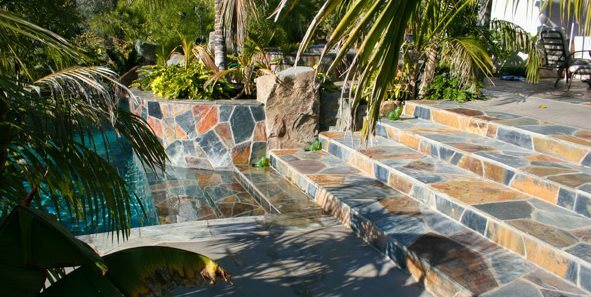 Flagstone designs can range from simple and organic to ornate and formal. 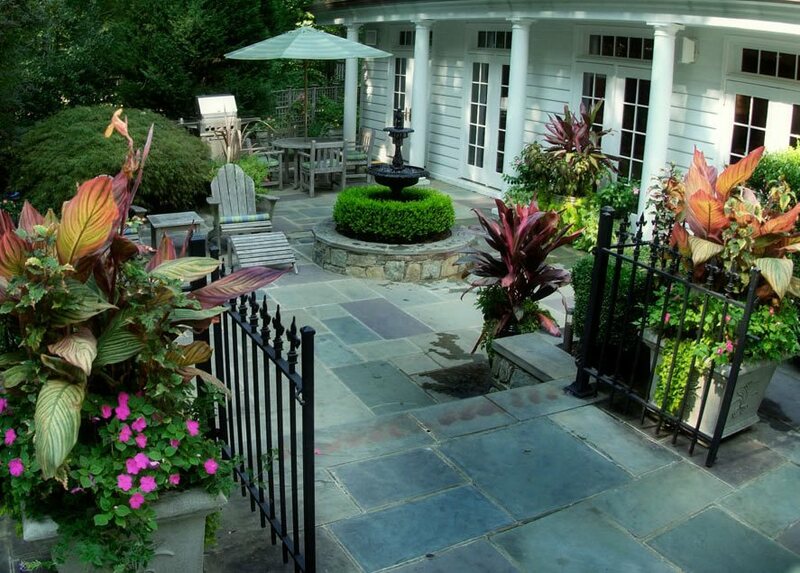 A good way to find out what you like best is to spend time looking at pictures of flagstone paving. 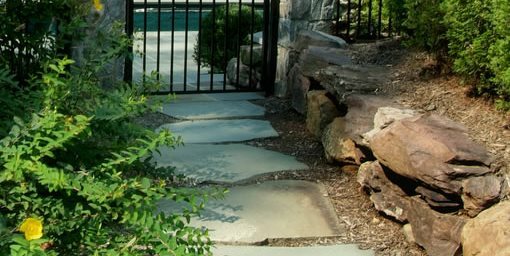 You may want to look through magazines and books, but to get you started we’ve compiled a broad collection of flagstone examples from across the country right here on our site. 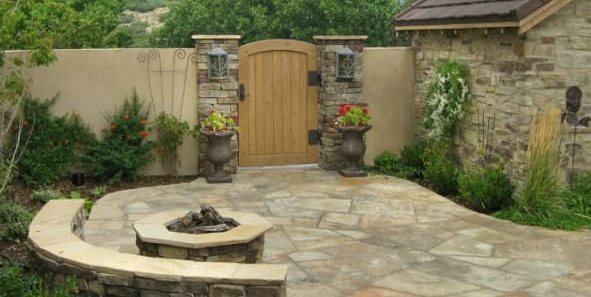 Be sure to save the photos that you like so that you can show them to a contractor or compare them to stone when you’re ready to buy your materials.